This morning, I gave a presentation at the Rotary District 9600 Training Assembly. District Scholarship Foundation Chair, Shaughn asked me if I would speak about my experience as a Rotary Ambassadorial Scholar to the attending Rotarians. This training was primarily for incoming officers as well as an opportunity for the new budget to be approved on by those eligible to vote. 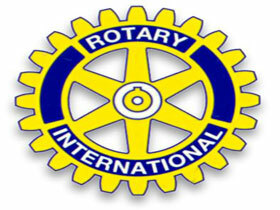 I really enjoyed learning about the annual transition process for the Rotary clubs. Officer changeover typically occurs between end of June/beginning of July. scholarships in the entire world! After the general meeting, all Rotarians could choose between eight different breakout sessions to attend. I spent my time in the Foundation Room since I would be presenting there after morning tea. As I am the final Rotary Ambassadorial inbound Scholar, Shaughn wanted me to speak first. Then she introduced the district’s first outbound Global Grant Scholar, Allie who also is a UQ student. We both shared how we first become connected with Rotary, our current studies, and plans for the future. Many attendees wanted us to come and speak to their clubs at a later date which is exciting. Rotary is a fantastic and giving organization and I am looking forward to visiting more clubs and learning about the projects they sponsor. Each club is autonomous which makes each visit unique. I left the District Training Assembly uplifted knowing that polio is on the brink of being eradicated because of the ever strong will and support of Rotarians and partners like the Bill & Melinda Gates Foundation, all over the world.